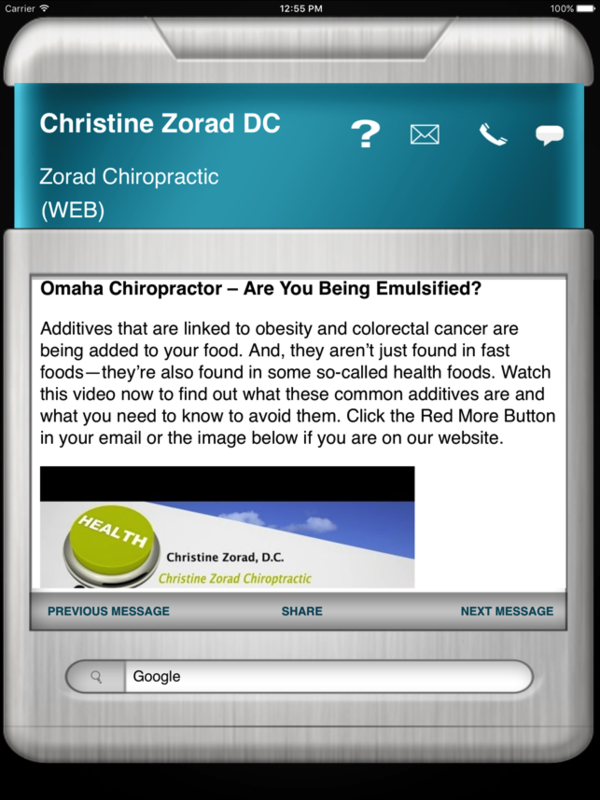 Christine M. Zorad D.C., P.C. 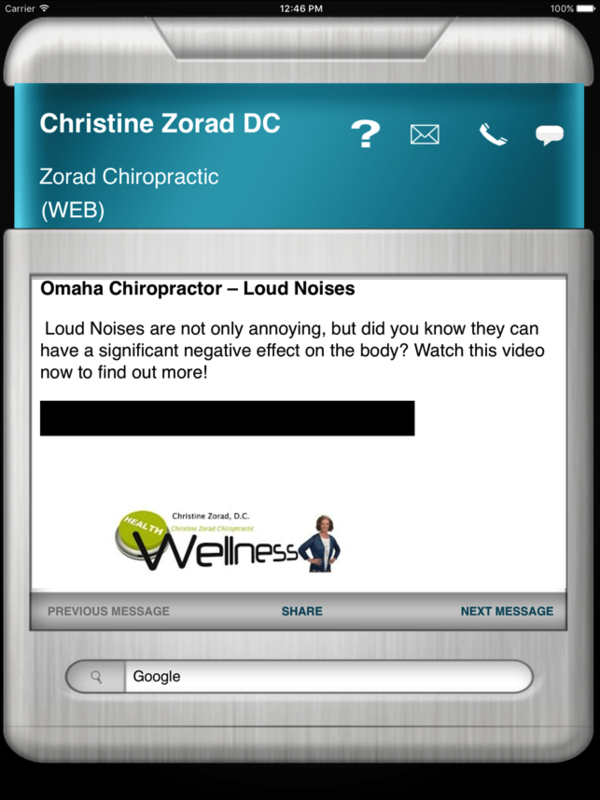 Having an unlimited ability to communicate, educate, engage, entertain, motivate and inspire, makes the Zorad Chiropractic Wellness Assistant App of very high value. Our features listed below allow us to deliver a mentoring and coaching experience via the app that there is no other way to achieve. 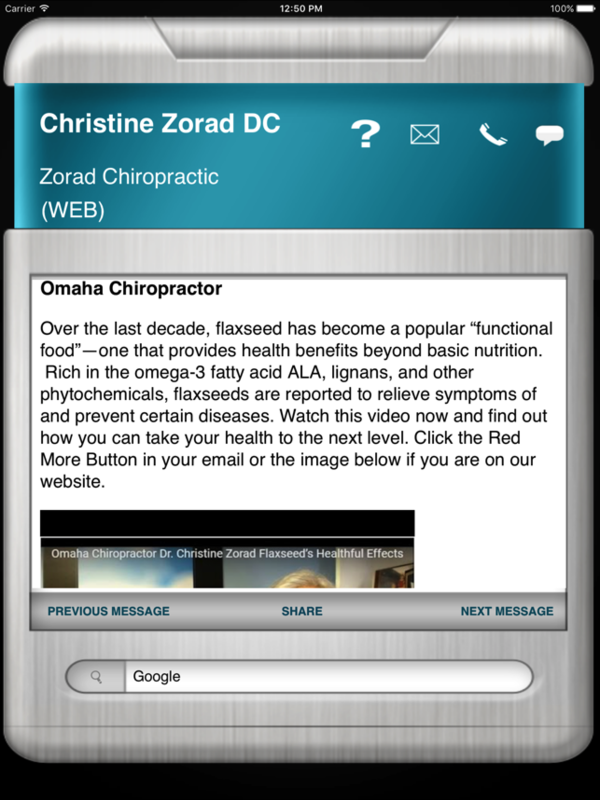 This application is uniquely designed to help the Zorad Chiropractic Wellness Assistant Community invest in their health. Most people spend their lives trying to be financially successful only to find out that by the time they achieve that success they do not have the most important commodity they need to enjoy that success, their health. 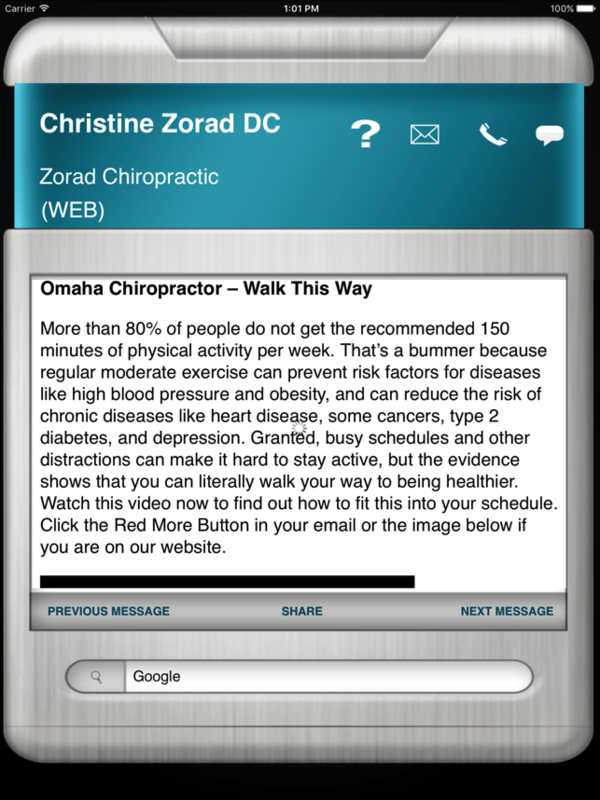 The Zorad Chiropractic Wellness Assistant successfully accomplishes this for those who download the App and creates a unique experience never done before in an application. A study of more than 17,000 Canadians found that the mortality risk from all causes was 1.54 times higher among people who spent most of their day sitting compared to those who sat infrequently. The risk of metabolic syndrome rises in a dose-dependent manner depending on your "screen time" (the amount of time you spend watching TV or using a computer). Physical activity had only a minimal impact on the relationship between screen time and metabolic syndrome. People who use a computer for 11 hours or more a week, or watch TV for 21 hours or more a week, are more likely to be obese than those who use a computer or watch TV for 5 hours a week or less. An editorial in the British Journal of Sports Medicine also highlighted much of the recent evidence linking too much sitting with biomarkers of metabolic health. They reported research showing sitting time correlates with an increased risk of type 2 diabetes, heart disease and other prevalent chronic health problems. The application offers a unique approach to solve this problem. The Application delivers exercise, nutrition, lifestyle videos on a regular basis that helps the end user with all the tools they need to achieve a healthy outcome. Included inside the App is a special chat feature that allows you to chat to help you with any unique issues you are having. 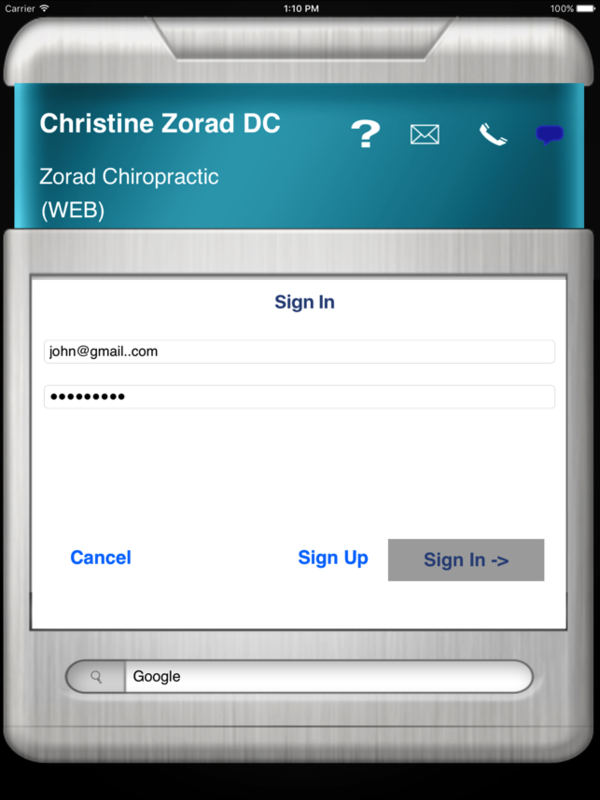 Of course, the goal of the App is to bring an experience to the Zorad Chiropractic Wellness Assistant Community to help them achieve success. 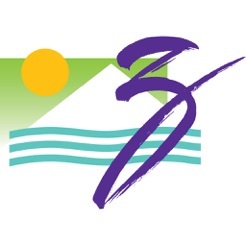 CHRISTINE M. ZORAD, D.C., P.C. ©2014 Christine M. Zorad D.C., P.C.